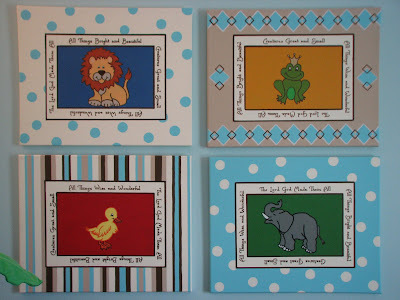 This is a set of four 16 x 20 canvases. 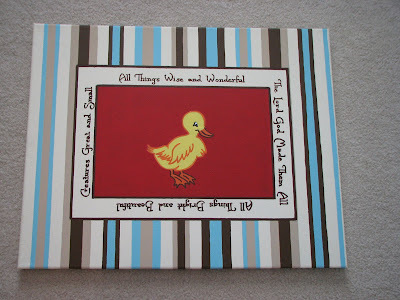 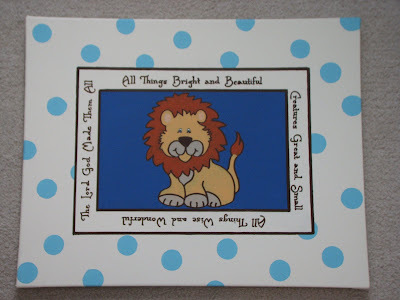 This one was a fun one for me to stretch my creative muscles because Baby Owen's mama wanted the feel of these to be more baby/nursery feeling, and Owen's daddy wanted to incorporate primary colors (giving it a not-too-baby-ish feel). 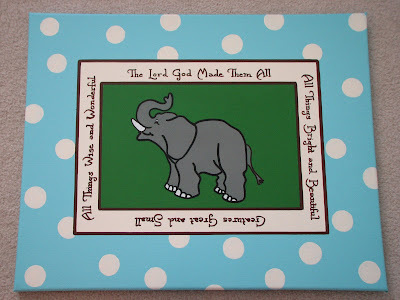 His mommy found this verse from an old Church Hymn that she liked "All things bright and beautiful, creatures great and small; All things wise and wonderful, the Lord God made them all" and wanted to somehow incorporate that too. 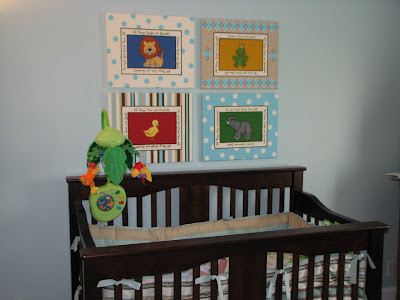 All of this, plus it needed to match the crib bedding. 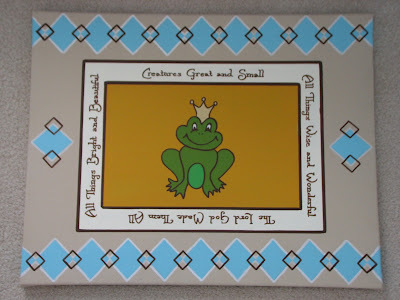 So, here is what I came up with: a baby lion and baby elephant (the creatures great), and a frog prince and a baby duck (creatures small), all with a coordinating outer border, and the verse.